Upon completion of the form, you are required to print the acknowledgement. 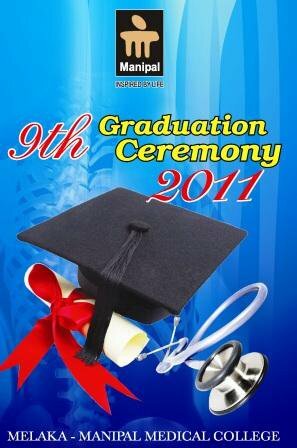 This printout must be submitted to MMMC Staff who will be carrying out your registration for the convocation on 1st July 2011 (9.00 -3.00 pm) and 2nd July 2011 (9.00 am – 12.00 noon). Failure to produce this printout will prevent you from being registered for the Convocation. Any inquiries please contact Ms. Aznum at 06-2925949/50/51 Ext 1171.